New Beach Cottage in Highlands Parks on premium pond frontage vacation home, investment property or permanent residence. Spaciously designed with 4 bedrooms and 4.5 baths, it has a modern open interior behind a traditional two-story facade. Open porches provide quiet areas for kicking back and enjoying the breeze whispering through the surrounding trees. 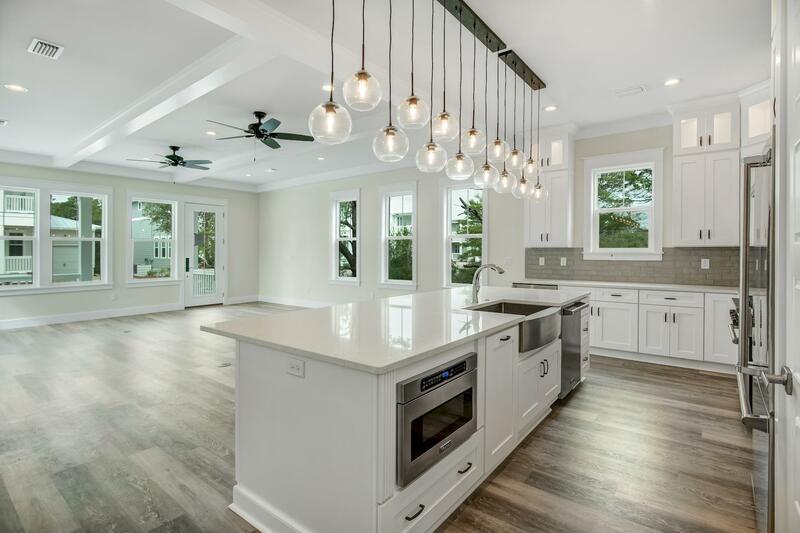 Featuring high-end finishes including ship lap, raised ceilings with crown moldings, polished hardwood floors and custom barn doors on the closets in the two masters, one of which is located on the first floor. Veined marble and a deep stand alone soaker tubs are just some of the noteworthy bathroom features. GE Cafe Appliances enhance the open kitchen.